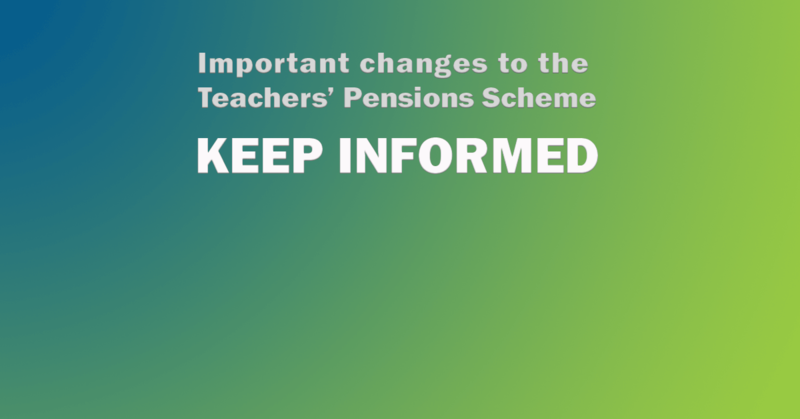 Latest information on the Teachers' Pension Scheme. The Teachers' Pensions Scheme (TPS) no longer sends annual benefit statements, so make sure that you have signed up to 'My Pension Online' to check your statement. The Department for Education has published its TPS consultation response, confirming it will not fund universities facing increased costs as a result of the TPS changes. UCU criticised the decision, saying the government was wrong to be relaxed about the potential financial problems the decision could cause - read UCU's full response here. There have been further developments in the planned changes to TPS which have led to the benefit improvements being put on hold due to an age discrimination case. However, this has not paused the increase in employer contributions. You can find more information in the update sent to branches. As a result of proposed changes to the Teacher's Pension Scheme, which impacts differently within the UK employers are facing increases to their contributions, but members' benefits are improving. It is unclear how employers will react to the increases and the government is currently consulting on the funding of changes and wants mitigating evidence of the impact in HEI's to enable them to look again at supporting the sector. Branches have been asked to follow up this development with employers and report back. Changes to the Teachers' Pension Scheme (TPS) could cost colleges and universities nearly £300 million in additional costs. The recent valuation has indicated a big increase to employer's pension contributions an extra 5% to 7% on top of the current 16%. It also indicates an improvement to career average member benefits at no increased cost to members. In an article for Left Foot Forward, UCU's Matt Waddup calls on the government to clarify the situation and confirm that they will provide extra funding to offset the shortfall.